ONM’s Best Ocarina of Time Moments. What are Yours? If you are ignorant unaware, ONM is the Official Nintendo Magazine. In a recent feature over at their UK site, they’ve asked fans for their favorite moments in Ocarina of Time. They got some great responses, from exploring Hyrule Field, to Link growing up, through to rescuing Epona. I agree with everyone who said as a kid they feared things like Redeads, that was some scary stuff. What’s my favorite moment – while rescuing Epona and Sheik’s exposure are top moments, none are better than the Water Temple. That’s right, you heard me. 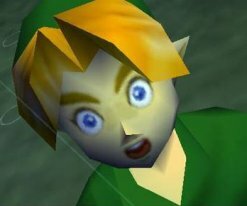 It would be such a shame if my favorite moments were ruined in Ocarina of Time 3D. Stay tuned for Zelda Informer’s top 100 moments in Zelda (100 to 91 and 90 to 81). So what’s your favorite moment in Ocarina of Time that you can’t wait to relive in 3D? Jump inside and let us know your memories in the comments!